Atlanta, I have some exciting news for all of my tequila fans. 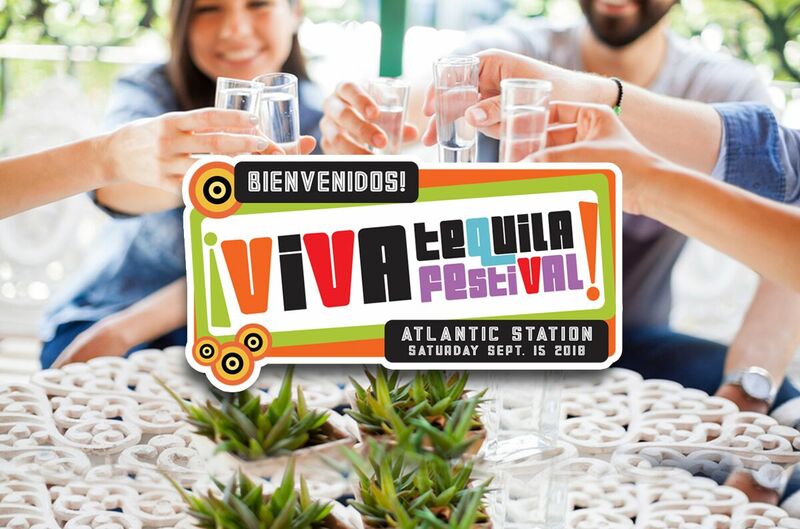 The inaugural Viva Tequila Festival will be held at Atlantic Station, September 15, 2018, from 11am-6pm with an exclusive after-party from 6 pm – 9 pm. Viva Tequila Festival welcomes food, art, music and small batch, hand-crafted tequilas of Mexico to the streets of Atlanta’s own Atlantic Station. The festival is thrilled to introduce our official, non-profit sponsor, the Georgia Ovarian Cancer Alliance, (GOCA), an organization dedicated to “increasing awareness and educating Georgia’s women, their families, and the healthcare community about the risks and symptoms of ovarian cancer.” A portion of the festival’s proceeds will benefit GOCA. Viva Tequila is also partnering with the Georgia Hispanic Chamber of Commerce (GHCC) and The Georgia Hispanic Business Center. Atlanta’s finest participating restaurants will be paired with the world’s finest boutique tequilas to create Signature Bites and Sips designed to dazzle your palate. The festival will educate attendees on the history of the agave plant, tequila cultivation, proper sipping technique and its’ development on the global market. Attendees will enjoy the opportunity to stroll through Atlantic Station’s Pinnacle Pad and sample prepared bites from some of the city’s finest restaurants as they display their respective culinary talents. A complete list of the restaurants can be found on the Viva Tequila website. Moreover, Viva Tequila Festival presents a unique marketing opportunity for its participants. Restaurants and tequila sponsors will be featured on “The Tastemaker Talks” Live with Sean O’Keefe, a new Facebook Live show highlighting Atlanta’s most influential brand ambassadors and tastemakers. As a leader in the events industry and the producer behind Viva Tequila, Sean O’Keefe will be bringing his wealth of culinary knowledge and event design expertise to the forefront. “This show is an exciting option to introduce the sponsors and cross-promote the brands, further increasing their reach and exposure for the duration of the festival campaign this summer, “ says O’Keefe. All participating brands will be eligible for inclusion in the “The Tastemaker Talks” series. All adults aged 21 and older are welcomed. Tickets can be purchased at www.vivatequilafestival.com and Eventbrite. Viva Tequila has decided to give my audience a special 10% discount on tickets when you use the Code POW at checkout. Sounds like fun. Love Tequila!! !